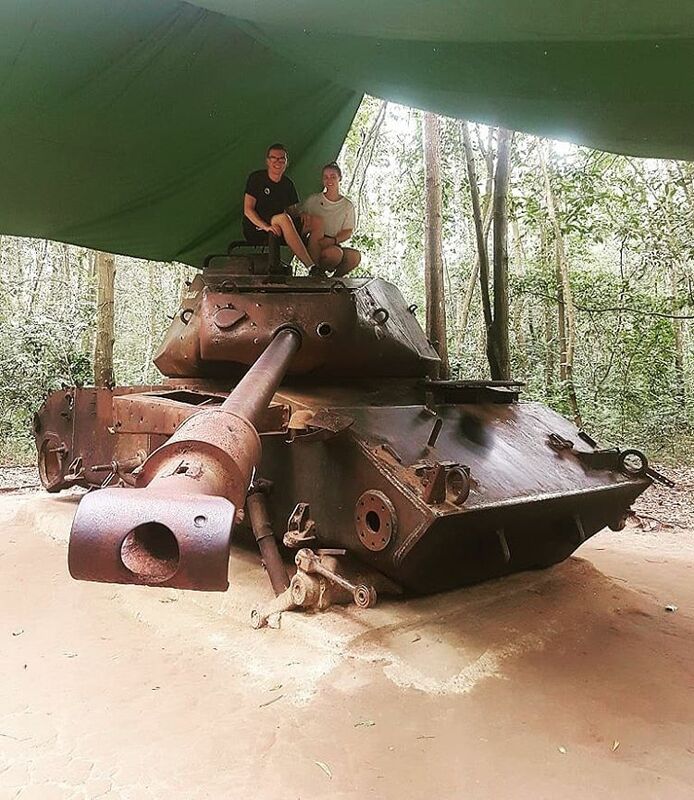 Cu Chi Tunnels has long been a sought-after mecca for both local and foreign visitors who are eager to learn about Vietnamese history in general and the Second Indochina War in particular. Unlike other war remnants, the exhibition is kid-friendly, so basically everyone can enjoy this place regardless of age and gender. Coming here, you will be able to gain insights into not only the life of people during war time but also how a poorly equipped army responded to the enemy’s ordnance, bombers, and chemical weapons. The gripping feature of this attraction – the complicated underground network complex of 75 miles in length – gives off such a martial vibe that will definitely quench your thirst for historical knowledge and war-like adventures. There are two tunnel display sites that are open to the public, Ben Dinh Tunnel and Ben Duoc Tunnel. 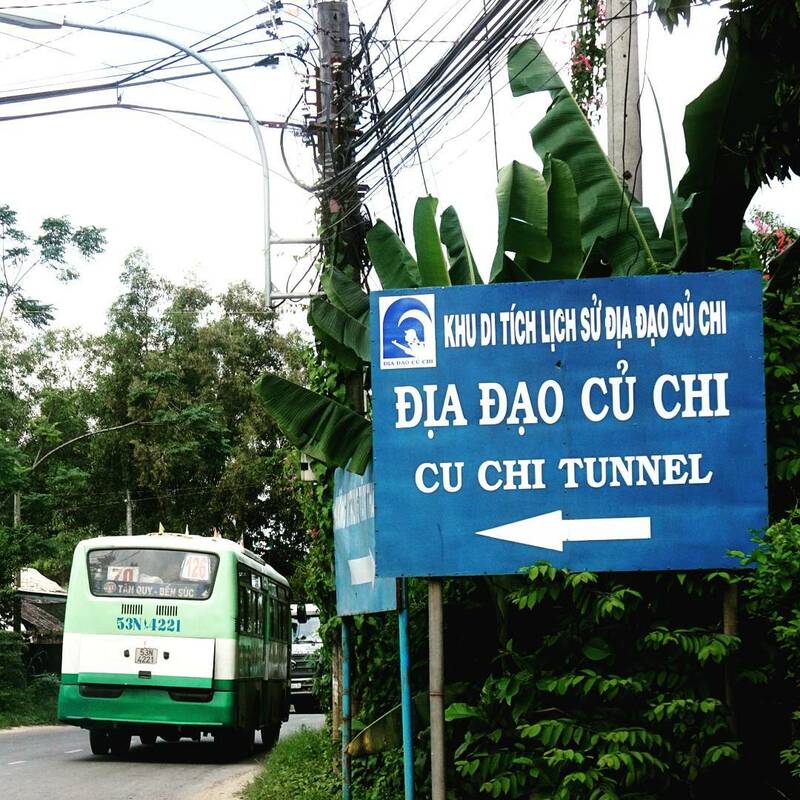 Visiting Ben Duoc tunnel is one of the most marvellous things to do in Ho Chi Minh city. 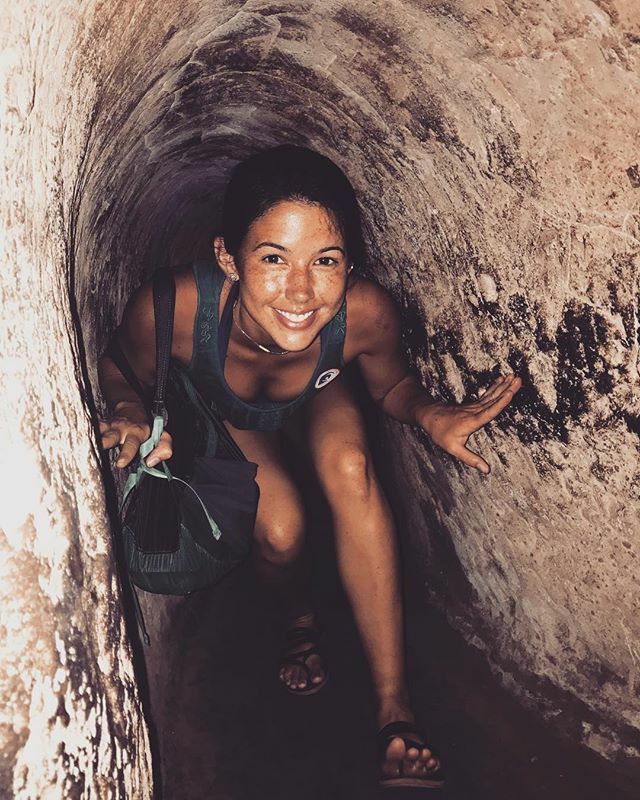 A guide to Ben Duoc Tunnel: a non-touristy route in Cu Chi Tunnels will provide you with all the information you need prior to taking the trip. Located in the Cu Chi District of Ho Chi Minh city, the tunnels of Cu Chi are a complex of different underground tunnel systems, a hideaway of the Viet Cong (Vietnamese soldiers) throughout the Vietnam War. They were built over a period of 25 years, beginning in the mid-1940s in the war against the French. The first dugouts were constructed in Tan Phu Trung and Phuoc Vinh An communes. They were short, unconnected with basic design, used by locals to evade the enemy’s sweeps, and to hide documents and weapons. After that, the inhabitants felt the need to have a tunnel in each village and then, in order to serve communication purposes, the tunnels were linked together into one long, maze-like connected system. 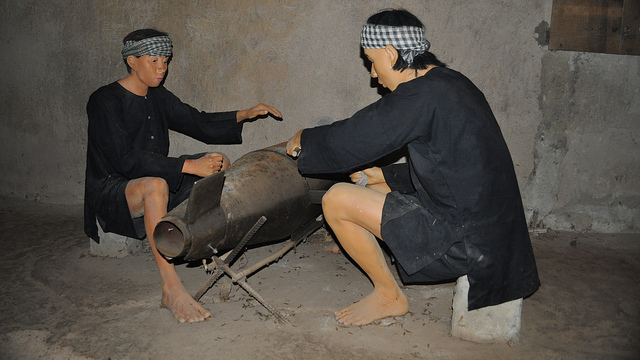 Wax sculptures in Cu Chi Tunnels. In the early 60s, the tunnel system was repaired and upgraded to a more logically-structured layout with new extensions excavated as we see today. 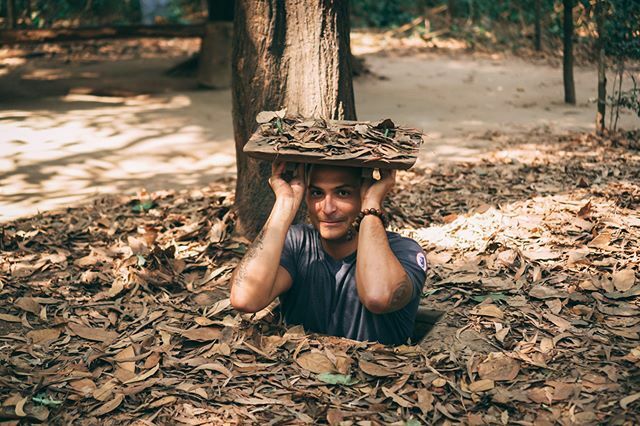 Within a few years, Cu Chi Tunnels became the chief military tactic and the principal revolutionary base of the Southern Vietnam during the resistance against the French colonialists. The subterranean system was not simply a shelter with the purpose of hiding from bomb attacks, but it was divided into various rooms and played the role of the training ground, hospital, kitchen, storage facilities, headquarters. It also helped the Viet Cong carry out sneak attacks and ambushes as well as lay booby traps close to enemy positions. Most of the strategies against the opposing forces were drawn out and discussed below the ground level. An interesting fact is that one of the most resounding victories in Vietnam War – the Uprising of Tet Mau Than 1968, or the Tet Offensive – was planned and launched from Cu Chi. However, the secrecy of the underground system could not be shrouded in and it was soon unveiled to the opposite sides. Due to the size of the tunnels that was even a tight squeeze for Vietnamese people, it was impossible for the normal foreign infiltrators to get into the dugouts. They resorted to recruit and train ‘tunnel rats’, who were men of small stature, crawling inside the tunnels to discover or to kill the hiding Viet Cong and plant explosives aimed at destroying them. Yet, the system could still stand strong thank to the brilliant design and attentive guarding. 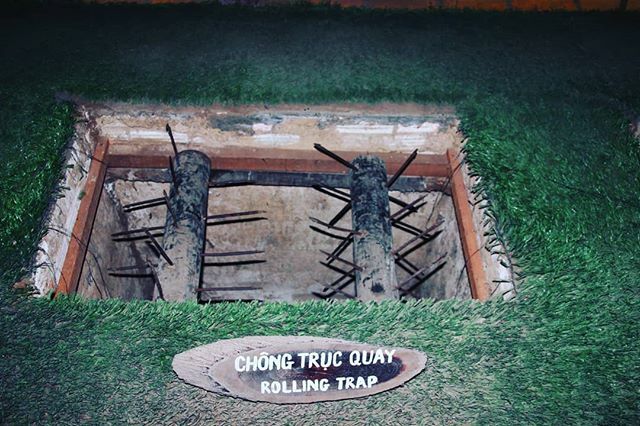 Rolling trap in Cu Chi Tunnels. Ben Duoc Tunnel will certainly amaze you with its narrow and rough underground passageways. It’s not surprising that Ben Dinh is the more popular of the tourist destinations due to the shorter travelling distance, and on top of that, the tunnel system in Ben Dinh was reconstructed and widened with the intention of welcoming a great number of visitors and making it easier for them to move inside. Still and on, if your purpose of coming all the way to the area is to discover, do not let the hassle get in your way. At Ben Duoc, you will be able to get the realest experience of Vietnam War in the southern part, see how tough a life in the cramped tunnels can be, and challenge yourself to overcome the odds. I highly recommend Ben Duoc Tunnel as a must-visit site for proper understanding of the warfare hardship. A tunnel in Ben Duoc. Compared to Ben Dinh Tunnel which only covers the limited area of 17 hectares, the area of Ben Duoc Tunnel is five times as big (100 hectares). The latter allows you to explore longer and explore a more complex subterranean system, fulfilling your wish for adventure. 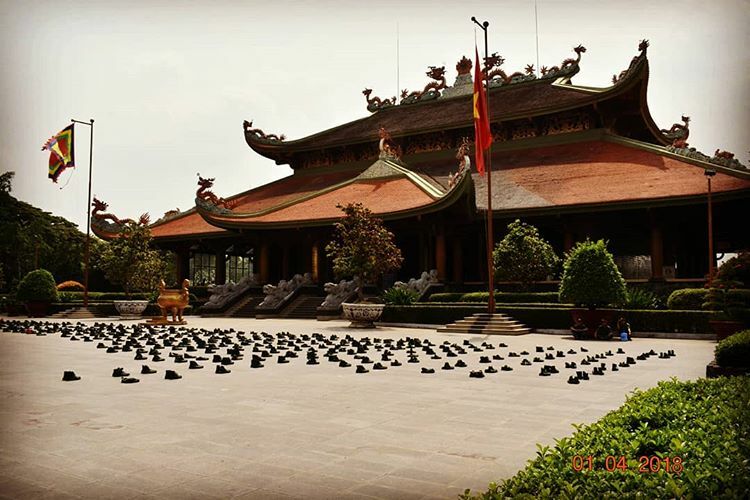 Since Ben Dinh was the location of battles that frequently suffered from the sweeps of enemies, some parts were recreated for sightseeing because of destruction caused by the war. On the contrary, Ben Duoc was the headquarter where the strategies and tactics were devised, which means you can expect to spot rooms where intelligence work was done, living space where most of daily activities occurred. 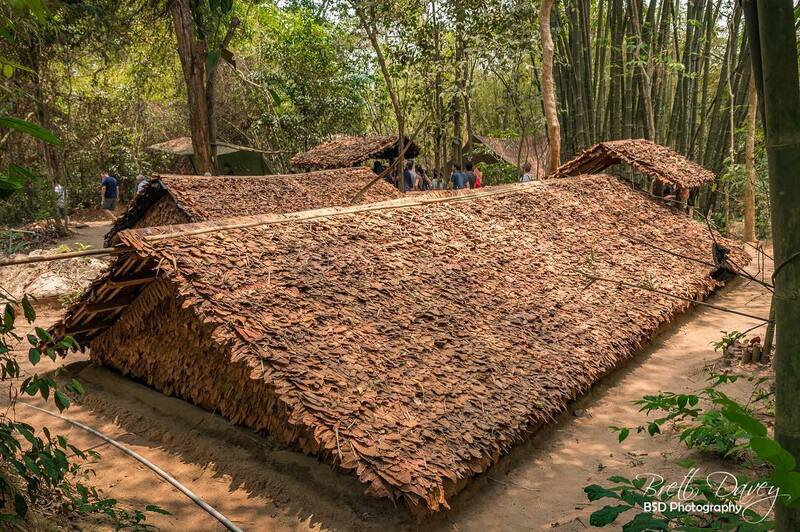 Houses in Cu Chi Tunnels. Ben Duoc Tunnel are often visited by locals in order to learn about learn about the history of their country. On that account, overcrowded waves of tourists can be shrugged off from your concerns. Ben Dinh Tunnel offers you a wide range of recreational activities, such as machine gun shooting, paintball shooting, swan paddling, kayaking, and cycling. In comparison, there are numerous intriguing historical sites in Ben Duoc Tunnel; Ben Duoc Memorial temple, Hoang Cam kitchen, just to name a few. 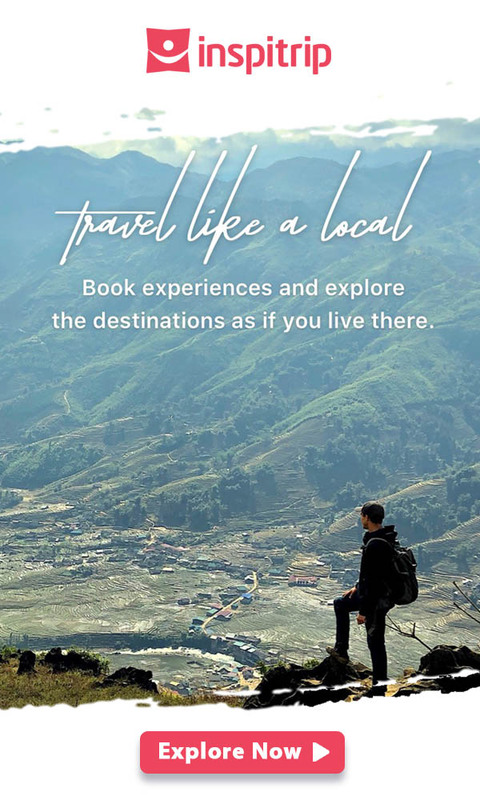 Finally, it’s your call, whether to take an entertaining trip that can be offered elsewhere or to broaden your horizon in the field of history and culture. This is the most favored choice of both domestic and overseas tourists in term of the cost (only 13,000 VND – $0.7 for a one-way ticket). From the bus station in 23/9 Park, hop on the bus number 13. After a 1.5-hour ride to Cu Chi Station, jump on the bus number 79 and you will show up at Ben Duoc Tunnel in about 50 minutes. Pay close attention to the road in case you may miss the site. One drawback is that this means of transport can take up your time, so you had better travel from the early in the morning. Another choice is more costly yet more convenient and time-saving. Call a cab, ask the driver to take you to Ben Duoc Tunnel, and you will reach the destination within one hour and a half. The charge is about 1,000,000 – 1,200,000 VND (about $50 – 60) per round trip. Or you can go by Grab, a ride-hailing service, for a lower-priced alternative. If you are eager to “vroom vroom” to the tunnels, here is the easiest route for you. Go along Route 22 until you reach Cu Chi District. Then, take Nguyen Thi Thach street and go straight. You should ask for direction from the local for fear of getting lost. 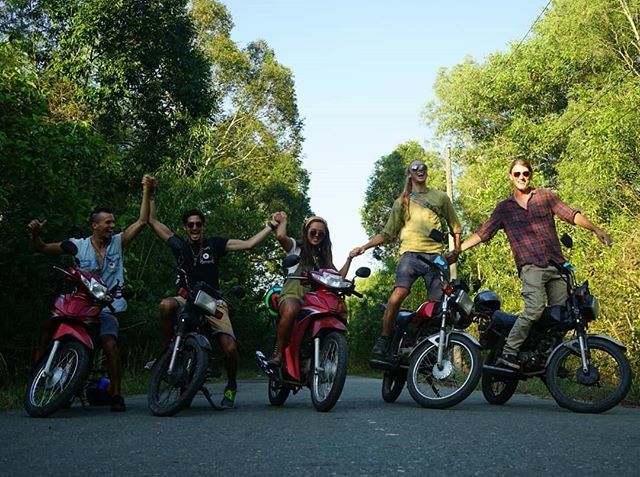 Travelling by bike allows you to visit Cu Chi wildlife rescue station and enjoy the regional specialties, such as durian-flavoured sugar cane juice, Xuan Dao veal, grilled sweet potatoes, vermicelli noodles with pork legs, on the way to Cu Chi. Nevertheless, I do not recommend first-time visitors to travel by bike owing to the distance and complicated route. 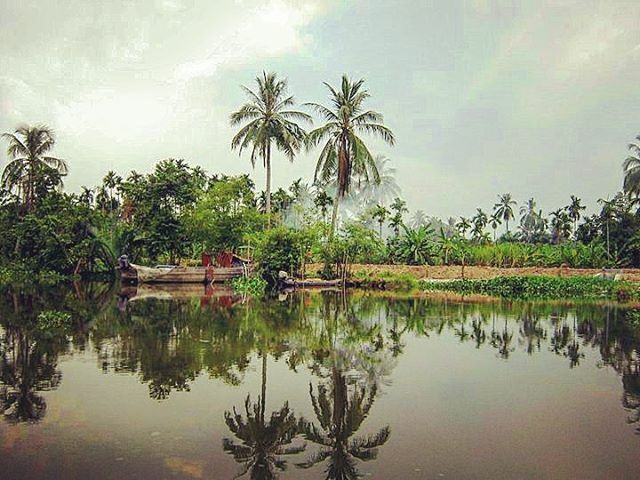 There are a couple of boat services offering a tour to Cu Chi by speedboat. Check out Saigon Boat Company, Saigon River Tour, or Les Rives for an adventure to the tunnels on the waterway route. There are a bunch of things that you can do at Ben Duoc Tunnel. 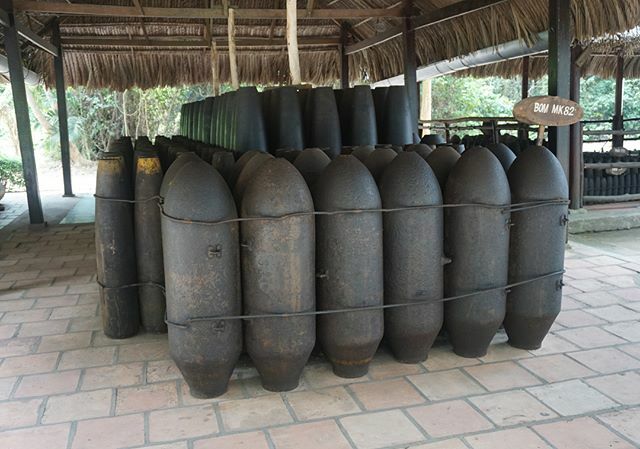 When you enter, you will pass an open air museum displaying different types of bombs that the enemies used and the weaponry which Vietnamese soldiers deployed to defend themselves. Going through the ticket gate, the guide will lead you through the woods to the hall where you can watch documentaries about the place and listen to the girls in the Vietnamese traditional costume – Ba Ba blouses, rubber flippers, bucket hats, gingham scarves – talk about the history and development of Cu Chi underground tunnel system. After that, you will go on a tour to the subterranean buildings. A highlight is that tourists can see with the own eyes a creative invention to hide smokes from cooking in Hoang Cam kitchen. 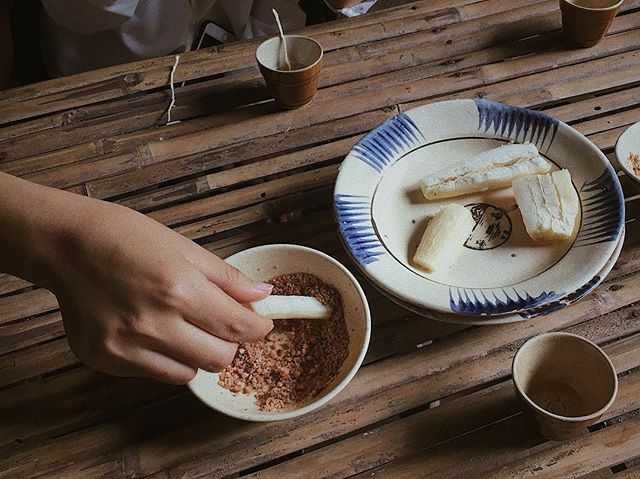 This is a place where tourists will stop by and enjoy the food that the guerillas used to eat in the war – boiled cassava eaten with sesame salt and Vietnamese style onigiri. You can also wander around to explore the booty traps and take photos. War remnants displayed in the open air museum. MK82 Bomb in the open air museum. Ben Duoc Tunnel opens at 8AM and closes at 5PM every day, even on the weekends. The entrance ticket for international tourists is 90,000 VND ($4) /person, including a local guide. There is no dress code, but I suggest you wear a comfortable pair of sneakers and long pants to avoid scratches while crawling in the tunnels. Sunscreen, and insect repellent should be packed in your bag. For your best experience, visit Cu Chi Tunnels is in the dry season from December to April so that you will not get muddy from the rain. Remember to take a poncho with you during the rainy season. Do not overlook the souvenir shop. You can get some souvenirs made by bamboo at a very reasonable price for your family and friends there. Those who are have claustrophobia or are diagnosed with respiratory diseases are advised not to go inside the tunnels.